NEURON-1291 available withcream white to various colors, can be used for printing of sealing patterns for sulfur based or sulfur free cylinder head gaskets by silk screen printing. 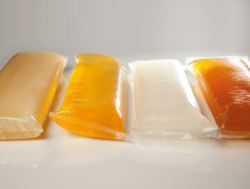 Shelf life 9 months from the date manufacturing in tightly closed conditions at 25°C. Some filler may settle during transport and storage, so that mix properly before using the compound. NEURON-HG can be applied with standard silk-screen printing equipment. It cures under the influence of heat or moisture from the air. Pigments can be added upto 5% if desired or pigmented NEURON-HG also available as per the customer requirement. For a coating thickness of about 0.1mm in circulating oven. 175°C ------ 5 min with steam. NEURON-HG-may releases some by products in the form of vapors, these vapors may harmful to health if inhaled for long periods or in high concentrations. Hence good ventilation required in the work area. MSDS also available on request from your nearest dealer or distributor. 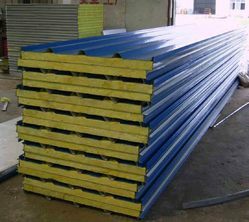 Adhering to masonry and concrete, wood, metals (inc. aluminum), plastics, rubbers, GRP, and building material, the sealants offered by us produce a tough elastic seal. Owing to their resistance to water and UV radiation, permanent elasticity under all climate conditions, these sealants are recommended for decking and flooring. 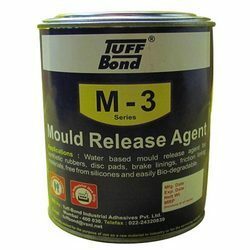 tuff-bond polysulf polysulphide sealanat is highly recommended for concrete joint and industrial insulation glazing sealant. This is two part system. After mixing resin and hardener, the polymerization is initiated at room temperature, which proceed further until it is cured. * it has good adhesision properties. 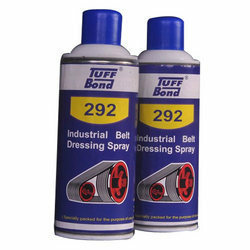 ^ also can be used as fuel resistant sealant. * concrete joint sealant in airport. manually. The hardener to be mixed with the resin in the rocmmended proportion thoroughly to get the uniform colored mixure. And they to apply on the required surface. Technical specs : can be provided upon receipt of the inquiry. packing : 4 kgs set and 2 kgs and 200 kgs set. Owing to our vast experience in this domain, we are engaged in offering Cyanoacrylate Adhesives. The high-grade ingredients are procured from the authentic vendors of the market to process these glues in adherence with international standards and norms. 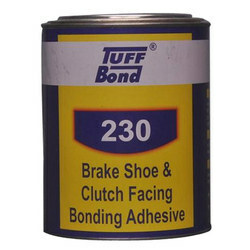 These adhesives help in bonding rubber, metal plastic, wood, paper, cardboard, leather, fabric with medium viscosity. Store at cool area out of direct sunlight .Stock is recommended in refrigerator . Superglue bonds skin and eyes in seconds .If skin bonding happens , wash with warm water .In case of eye contact , bath immediately with water and take a medical attention .Keep out of reach of children . 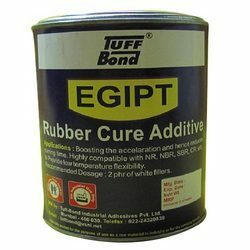 For meeting the variegated requirements of our clients, we are engaged in offering Egipt Rubber Cure Additives. Processed using optimum quality ingredients, these products are in compliance with set industry standards and norms. 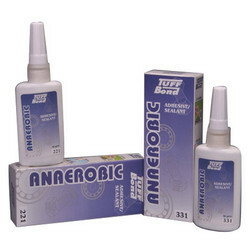 The additives offered by us help in boosting the acceleration and reducing curring time. These additives are highly compatible with NR, NBR, SBR, CR, and more for providing low temperature flexibility. We offer PU Adhesivesthat are based in solvent & filler less, single part, moisture curable fast cure, polyether polyols. These adhesives are used to bond glass, wood, cork, polyurethane foam, polystyrene, chipboard, galvanized steel, GRP and other plastics, mineral wool and many more. 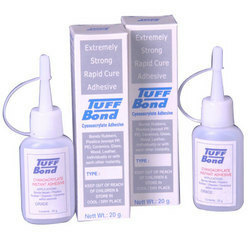 The use of this adhesive is dependent upon the atmosphere and the substrates to be bonded. 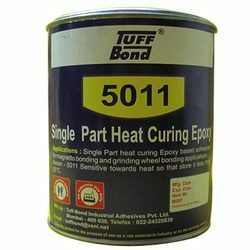 50 ~ 100 microns thickness is helpful in giving excellent bonding properties. Tuff bond introduces 'NEURON' SILTREAT 99 SP (single part silicone anti stick coating compound for the gaskets) . This is clear transparent odorless medium viscosity compound cures within 30 minutes at a room temperature and within 10 minutes under 120 Deg C.
This excellent product can be applied with the roller coating, dipping, spraying or by brushing. The cured film exhibits glossy appearance supported with the properties like high temperature withstanding, all automobiles oils, fuels, and minerals and water resistant. 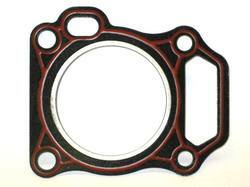 DUE TO NON STICKY PROPERTIES GASKETS CAN BE REMOVED EASILY FROM THE ENGINE PARTS. The other properties are same as per single part silicone coating. Butyl Tape is self – adhesive tape made of a butyl rubber compound, self protected by a Double sided release paper, available in various sizes/colours. Butyl Tape , is highly adhesive to all material and especially to plastic, glass, steel, polycarbonate, wood, asbestos, fiberglass, textiles and concrete as well. Excellent adhesive properties at low temperatures. Resistant to ageing and UV rays. Waterproofing, Sealing, Jointing materials such as glass,steel, polycarbonate, wod, aluminium pvc, industrial roofing, pipes, cable, refrigeration and many other domestic applications. Butyl Tape is compatible with most building materials, metals, and flexible or hard plastics, The surface should be clean, dry smooth, and dust free . No special tools are required to install this tape. Unroll the tape until the desired length is reached. Remove the silicone release film that covers the adhesive part of the tape and position the tape. Press with a roller or a cloth pad. The quality and the characteristics of material remain unaltered for a long period of time. The Product is however best used within 12 months. 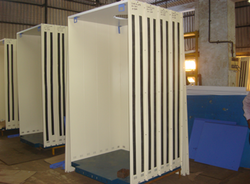 The Product must be correctly stored in cool and dry premises or at below 25 Deg C room temperature . It is not affected by Frost. NEURON 1600 Series liquid Gaskets are Single component Silicone Based liquid gaskets which prevents the leakages from the conventional solid sheet gasket. It exhibits an excellent performance by its properties like resistance to Water, Chemicals, Gasoline & Impact etc. NEURON 1600 Series Liquid Gaskets are user friendly products which is to used by simply coating and assembling the flange surface and nut-bolts, screws of the engine etc. These gaskets are widely used for making high performance , and cost saving FIP (Form In Place) gaskets. Due to Flowable/ self leveling properties the sealant flows between uneven surfaces also to exhibit a confirm leakage proof seal. These gaskets does not required any prolonged compression like conventional gasket, thus it offers hassle free operation of the assembly. 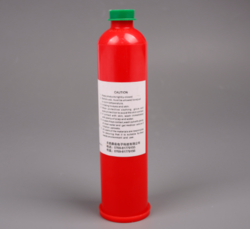 Single Component , Flowable , Self Leveling Room Temperature Curable Silicone Bases Gasket Sealant. Forms a peelable flexible film or a thin layer after curing . Excellent resistance to Water, Chemicals, Gasoline and shock /vibration. Gives fail proof seal by preventing leakages of oil, and gases under pressure at the joints. A Single product to meets varied application. No need to maintain an inventory of various shapes / types of conventional gaskets. A Single Product to serve your need of Gasketing & reduces your costing substantially in addition to enhancement of the quality in your ultimate product. Note : Our dedicated R & D professionals are always ahead to help your exceptional need of products . We formulates the products as per the end user’s specifications and design. 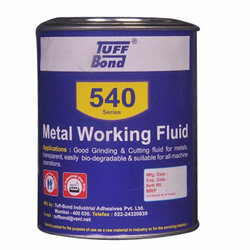 Our offered sealants help in sealing, fixing, filling gaps. These sealants have adhesion to glass, aluminum, ceramics, rubber non oily wood, most plastics, metals and many more. appearance/form paste like gel without bubbles. 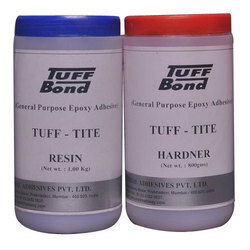 Our customers can avail from us Tite General Purpose Epoxy Adhesives. These adhesives are versatile two component that are A resins and B hardener, which are used for high bond strength applications. Owing to their excellent adhesion to all material, cured mass tough and elastic with high resistance to impact stress, high adhesive, tensile and shear strength, these adhesives are widely demanded by the clients. With our expertise in this domain, we bring forth a wide range of HI Temp RTV Silicon Gasket Makers. These makers are formulated for heavy-duty use of hi-temp applications like towing and more. 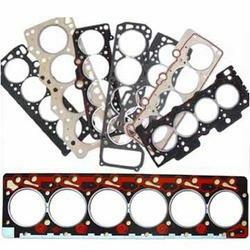 The offered makers help in replacing any cut gasket and make formed-in-place gaskets. Prepared gaskets are resistant to crack, shrink and migrate, which are caused by thermal cycling. Description: NEURON-1814 SMT adhesives are the latest single-component adhesives for surface mounting in the electronics. They are very well suitable as well for dispensing as for stencil printing. They don’t draw any threads during the application and they form stable adhesive points after the printing. 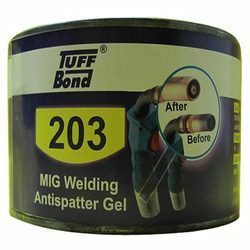 After hardening these adhesives distinguish themselves through very good dielectric qualities and thermal stability during soldering. These adhesives are available in various colors& viscosities depending on the processing method and component. The cleaning of the surface from not cured adhesive left-over can be done at room temperature with ethanol or 2-propanol. 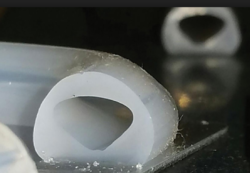 Cured adhesive left-over can only be removed mechanically. To not harm the component and to ease the removal it - or just only the joint dot - can be heated up before to over 100°C,so over the softening point of the adhesive ( residual thermo plasticity ). In the original package at 0 to 20°C min. 3 months. Recommended storage in a refrigerator at 0 to 5°C, as so the adhesive quality is guaranteed longer (more than 6 months). When stored in the refrigerator the jar should be first brought to room temperature. Not used left-over should not be put in the original jar as this can be provoke a minimization of the adhesive quality. Our organization is highly appreciated by the clients for offering s superior quality range of Anaerobic Adhesives. The adhesives offered by us are processed using optimum quality raw material and advanced machines to remain in tandem with international standards and norms. 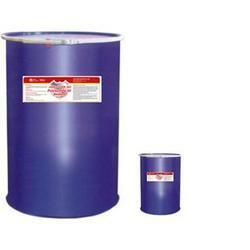 Owing to their effective performance, these adhesives are widely demanded by the clients. 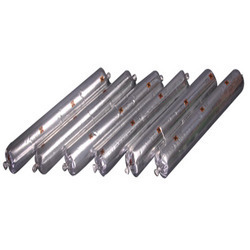 Due to this feature, these products are used in varied industries for different industrial applications. TUFF-BOND introducing the tuber based noise dampening tapes for the various industries including ELEVATORS, wherever the noise/vibration to be reduced. 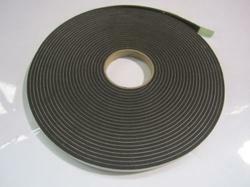 50mm x 1.2mmx 1 meter strip. CAN BE PROVIDED AS PER REQUIREMENT. Looking for Speciality Adhesives ?